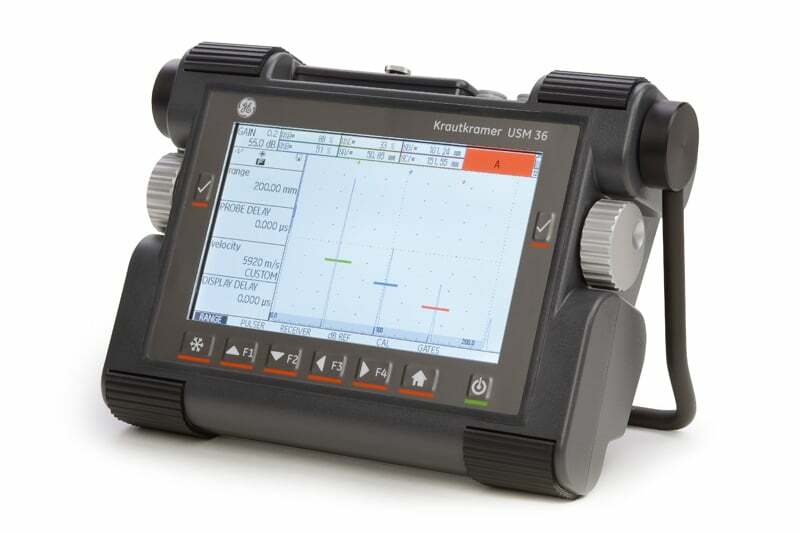 Introducing the new Krautkramer USM 36 – ultrasonic flaw detection technology at its best. Its power lies in the artful combination of GE’s trusted and well-established Krautkramer portable flaw detection instrument hardware and a state-of-the-art 21st Century operating platform. This product features a range of innovative solutions that ensure easy adoption and integration as the preferred choice in flaw detectors by NDT inspectors everywhere. 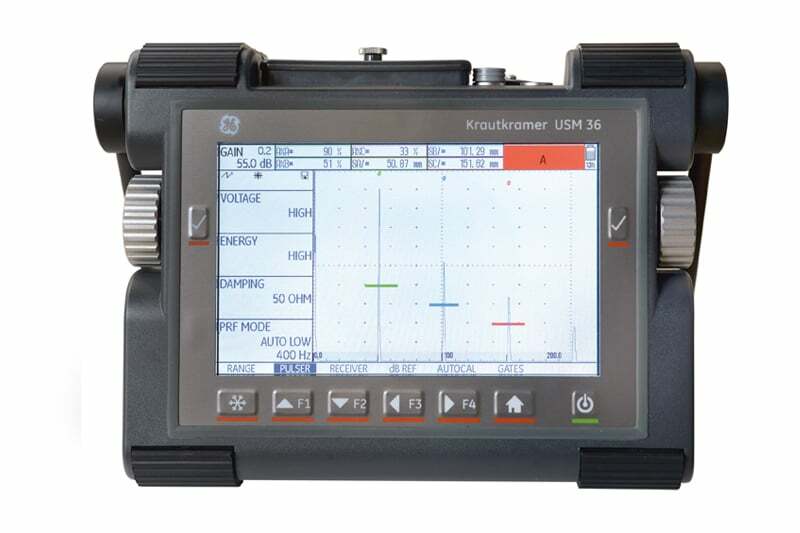 A major improvement in the Krautkramer USM 36 is its 7 inch screen, with an 800×480 pixel resolution – the largest viewable A-Scan in its class. This allows users to effortlessly view and interpret signals in all conditions, such as bright sunlight. Familiar rotary knobs and a simplified 6-key keyboard allow easy and efficient operation. Set-up data can be transferred directly between this device and the USM Go or USM GO+, which not only means that all preparations are quick and effortless; it ensures a swift learning curve for technicians who are familiar with the USM Go instruments. The crisp and clear A-scans are easy to share in screen-shots and A-scan videos. Data can be stored in jpeg or BMP format on a removable SD-card for further analysis and sharing. This instrument is available in a choice of three versions to ensure that most standard inspection codes are met. It was developed for use in a wide variety of industrial industries, from the power generation and petrochemical sectors to the automotive, metals and aerospace industries. The Krautkramer USM 36 is fully waterproof and dust resistant, and can be operated in environmental temperatures from – 10C to +55°C, meaning that you can rest assured that this instrument will withstand any harsh conditions it may be exposed to. To find out more about the Krautkramer USM 36 range of products, get in touch with Nexxis today though our online contact system (www.nexxis.com.au) or call us on 08 9418 4952. You can also conveniently request quotes or place product orders online by clicking on the following link – https://nexxis.com.au/quote. Contact us to find out more about the Krautkramer USM 36 range of products or any of our other non destructive testing equipment, or request a quote online.